For his first night back in Thailand, former Prime Minister Thaksin Shinawatra booked a penthouse suite at the Peninsula Hotel for US$3,300 (103,000 THB). Thaksin's two-bedroom suite featured a private fitness room, butler's quarters and is decorated with Persian rugs, traditional Asian furniture and wood-paneled walls. 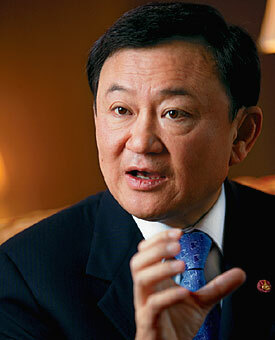 Thaksin flew first class on Thai Airways from Hong Kong. The one-way trip costs about $850 (26,350 THB).